Mold Inspection Warriors most heartedly welcome you and invite you to become a part of our community of satisfied customers. Here, San Francisco residents benefit from the best, most reliable, and most professional mold treatment services. By following our friendly and accessible yet professional tips you can better understand when it is best to call for professional mold inspection and removal services, learn more about the risks entailed with mold, and discover the reasons why it is so important to treat mold as soon as possible. But first of all – you can learn about Mold Inspection Warriors and the kind of services we provide to our customers throughout the larger San Francisco area. As a San Francisco local company, we’re more than proud to provide our clientele, the local community of San Francisco, with the best services available in the field. Being the first choice for many San Franciscans, we maintain 24/7 availability all year long. That includes weekdays, holidays, weekends, day or night – whenever our customers find themselves in need of one or more of our services, we are available for them. 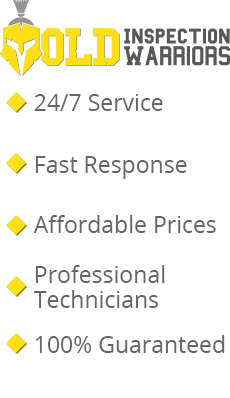 Furthermore, being local to San Francisco allows our technicians to arrive as fast as possible to your house or property when you call for our services. First thing’s first, it is important to understand what mold is. Mold is a type of fungus that thrives in dark and humid places, such as attics, hidden corners, basements, and the like. It grows while maturing through several stages, the first being next to undetectable. As the mold reaches its advanced stages, it starts to damage the air quality in its vicinity and may subject the residents of the infected property to health implications, especially those who have weaker immune systems such as infants and the elderly. How can the Warriors Help? The first scenario is when you’re moving into a new home – whether someone had lived there before you or not, you want to do an air quality and mold inspection, so you can rest assured that you and your family are moving into a clean and safe house. The second scenario is when you suspect your house is infected with mold, in any one of its stages. Several things can cause such suspicion, including noticing black, brown, or gray spots on your walls, noticing unpleasant odors, and the like. It is important to call for mold inspection and removal services as soon as you suspect mold infection because once it appears, it spreads very fast and accordingly the treatment gets much more complex and costly. Call the Warriors to Fight for Your Health! Is mold spreading across your house walls? Don’t wait for it to endanger your family’s health! Take control of your home today! Call Mold Inspection Warriors in San Francisco at (415) 906-7770 and let us get rid of the mold for you, using our knowledge, experience, and the best equipment in the field.